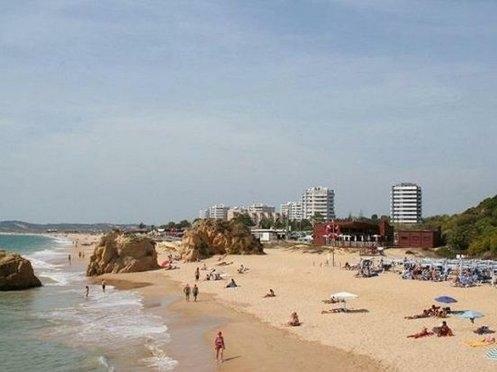 Studio apartment right ob the beach Alvor - Property for sale. Full Description: This ground floor studio is situated in the popular resort of Alvor and only 200 metres from the fantastic beach and ocean. With all the facilities this resort offers this is a great opportunity to buy into this prestigious complex with the option of a 2 year guaranteed rental income. This studio has recently undergone a total refurbishment to a very high standard and benefits from wooden flooring, air conditioning, satellite TV and internet. There are endless facilities available to owners and guests alike including indoor and outdoor swimming pools, restaurants, bars, spa, gym, kids club, mini golf, reception, communal gardens and out door areas, golf discounts, driving range, free wifi in public areas, free parking and much more! Discounts on some services are available through the developer i.e. golf and restaurant. This is an excellent opportunity for investment and income potential. This listing has been viewed 1271 times.